Cindy: Almost 30 years ago, when I was a baby librarian—and not too many years after acquiring my college protest marching “No-Nukes” button—a reactor at the Chernobyl Nuclear Power Plant in Ukraine exploded and the news was full of the fallout. Today’s students may be fuzzy on the details, if they even know about this devastating accident. 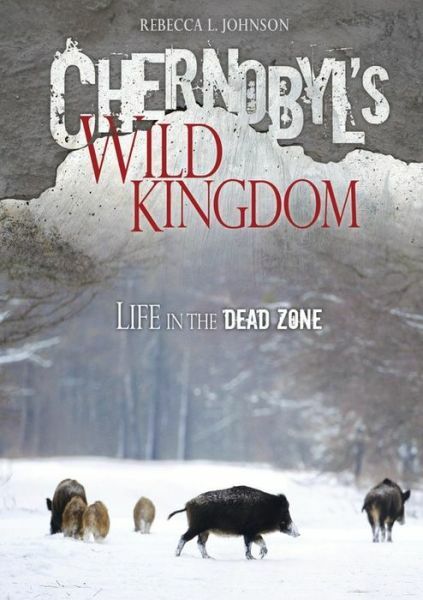 Rebecca Johnson will bring them up to speed with her book, Chernobyl’s Wild Kingdom: Life in the Dead Zone (2014). While the book focuses on the radioactive wildlife and the research being done in the Ukrainian ghost town of Pripyat and the Chernobyl Exclusion Zone, the opening chapter sets the stage…. Check out our whole post about this book at our Bookends Blog post for Chernobyl’s Dead Zone over at the Booklist Reader. Today over at Wrapped in Foil blog we are being nostalgic for our pet guinea pigs and sharing Gordon’s Guide to Caring for Your Guinea Pigs by Isabel Thomas. Guinea pigs are really cute and make great first pets. In the book, Gordon the cartoon guinea pig (that’s him in the bottom left corner of the cover) guides children through the ins-and-outs of adopting and caring for a pet guinea pig. The text is gently humorous, clear and concise. 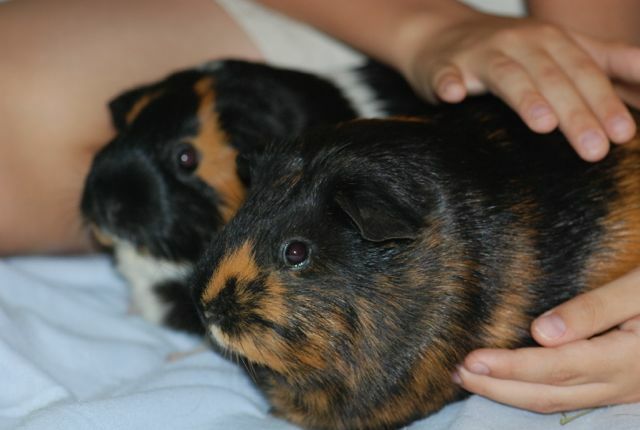 As an experienced guinea pig keeper, I can say it does a really good job of covering what a beginning pet owner would need to know, including the fact that guinea pigs do better when kept with other guinea pigs because they are social and that guinea pigs require special pelleted food with vitamin C added. 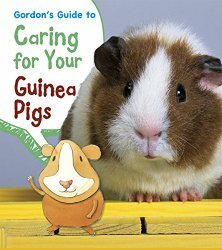 Be sure to read Gordon’s Guide to Caring for Your Guinea Pigs if you are considering adding guinea pigs to your family! KidLit Celebrates Women’s History Month begins March 1st! The blog is a great resource for finding new books (especially nonfiction!) and useful links. Previous contributors include Jen Bryant, Andrea Davis Pinkney, Donna Jo Napoli, and Betsy Bird. Contributors for 2015 include Emily Arnold McCully (Queen of the Diamond), Misty Copeland (Firebird), Michaela McColl (The Revelation of Louisa May), and more. The complete 2015 lineup may be found on the site’s sidebar. You can sign up to follow the blog, or receive it via email. Visit the site at http://kidlitwhm.blogspot.com to see “following” options, an archive of past contributions, and links to educational resources. It’s suitable for parents and teachers, too. Please join us, beginning March 1, at KidLit Celebrates Women’s History Month! Questions regarding KidLit Celebrates Women’s History Month can be directed to its co-organizers: Margo Tanenbaum, of The Fourth Musketeer and Lisa Taylor of Shelf-employed. 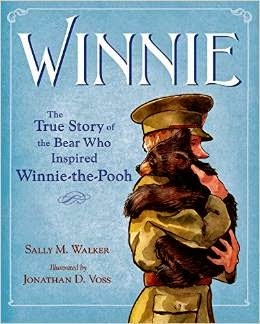 KidLit Celebrates Women’s History Month blog design by Rebekah Louise Designs. Jacket flap intro: “Julius Rosenwald’s life was forever changed when he met Booker T. Washington, the well-known black educator. Washington introduced the president of Sears, Roebuck and Company to the deplorable conditions of African American schools in the South…” and, as they say, the rest is history. In the early 1900s, Rosenwald led Sears to become the largest retail establishment in the world. He became a wealthy man, but felt that people should share their wealth during their lifetime. In addition to charities, Rosenwald became involved in the education of blacks – from offering college fellowships to matching funding for building schools in communities for their children. The schools that black children attended during that time, 1895 – 1914, were deplorable. Courts had held that education could be separate but equal – but there was little equal about the quality of the education black children received. Rosenwald was inspired by Booker T. Washington’s book, Up from Slavery, and more than that, Washington’s philosophy of self-help. When he got to meet the great man, they talked about the need for better schools. The first school Rosenwald helped build was in Loachapoka, Alabama in 1913. It wasn’t far from Tuskegee. Rosenwald donated $300 towards the cost of the school. The entire cost to build it was just under $950. Rosenwald insisted that communities be part of the building projects, raising funds and maintaining the schools so they had ownership. Families, both black and white, contributed. 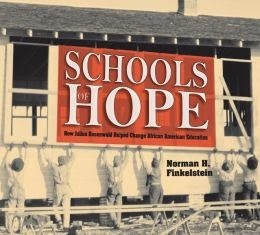 In this book, Finkelstein weaves together a story about two men with vision – Washington and Rosenwald – and a time of great change. He also includes a neat section on how to build a school, from site selection to construction. He talks about fundraising, and the sacrifices families made to see their children educated towards a better future. Where did the graduates from these schools end up? They were the parents of the generation who marched and sang and pushed this country towards civil rights. 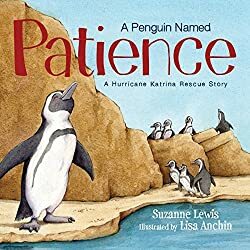 Booktalk: At roughly 6 pounds and approximately 20 inches tall, Patience, the South African penguin, is small, but at 24 years old she is also the “penguin in charge” of the penguin exhibit at New Orleans’s Audubon Aquarium of the Americas. On August 29, 2005, Hurricane Katrina devastated the city and severely damaged the aquarium. It was dark and steamy hot inside her home at the Audubon Aquarium in New Orleans. Being an African penguin meant she was used to a warm climate, but not this warm! Copyright © 2014 Deborah Amadei/a> All Rights Reserved.